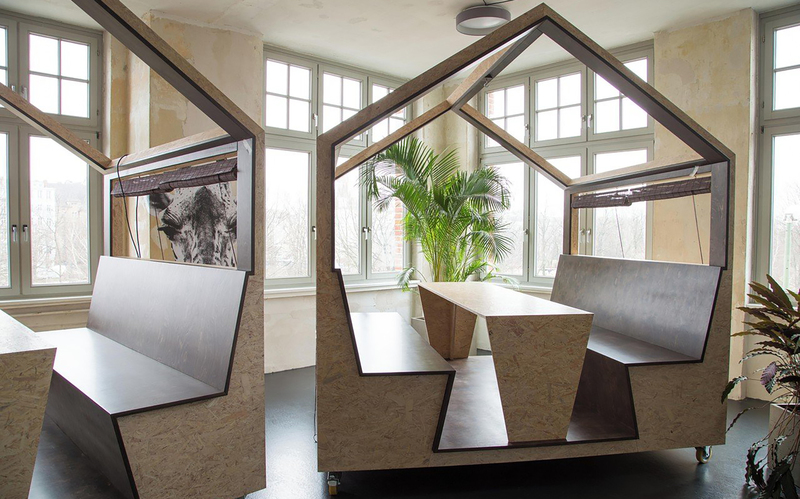 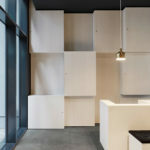 Meeting cabins in cooperation with 99chairs for Factory Berlin. 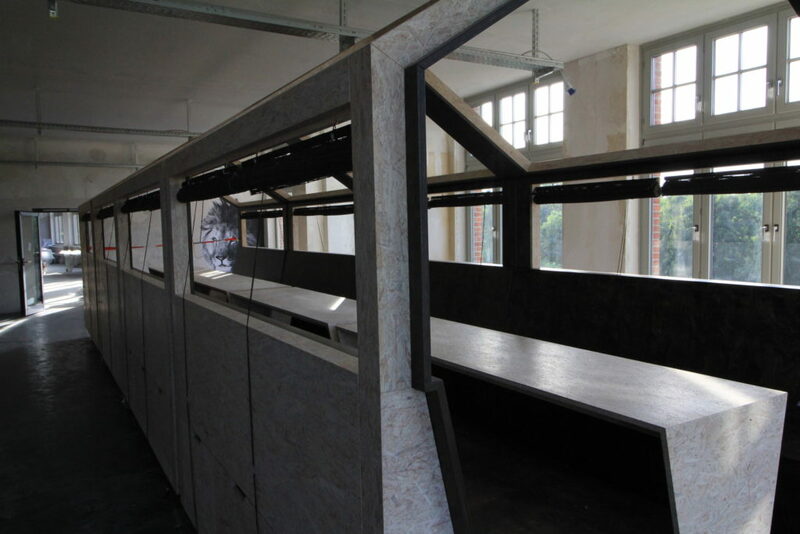 White transparent stained OSB finished with Hardwax-Oil. 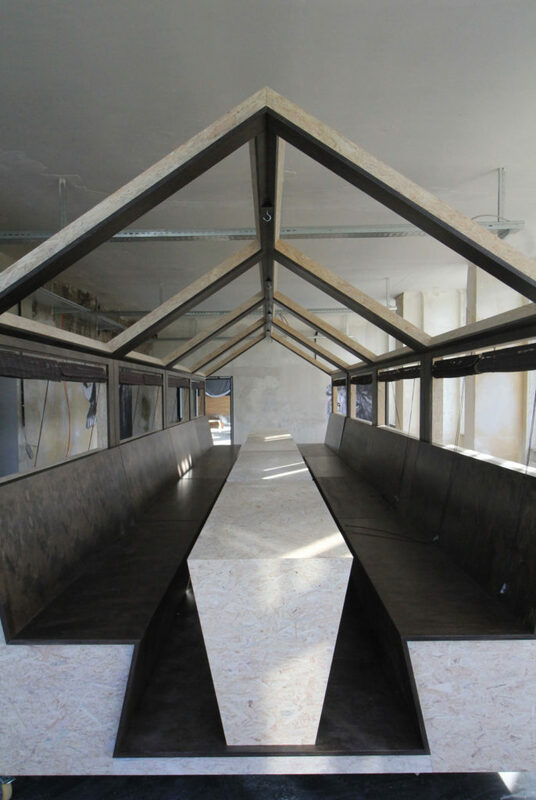 Benches and insides – dark brown stained birch plywood.